Welcome to this week’s SimplyAnalytics blog post. Today we’re going to take a closer look at the options available to you when editing the map legend. Let’s get started! 1) Classification Method – Determines the legend ranges for your map – you can choose between Quantiles (National), Quantiles (Local), Natural Breaks (Local), Natural Breaks (National), and Equal Intervals. TIP: By default maps are created using Quantiles National for any variable that you select – try switching to Quantiles Local to recalculate the legend ranges based on a sample of locations from the current map view. 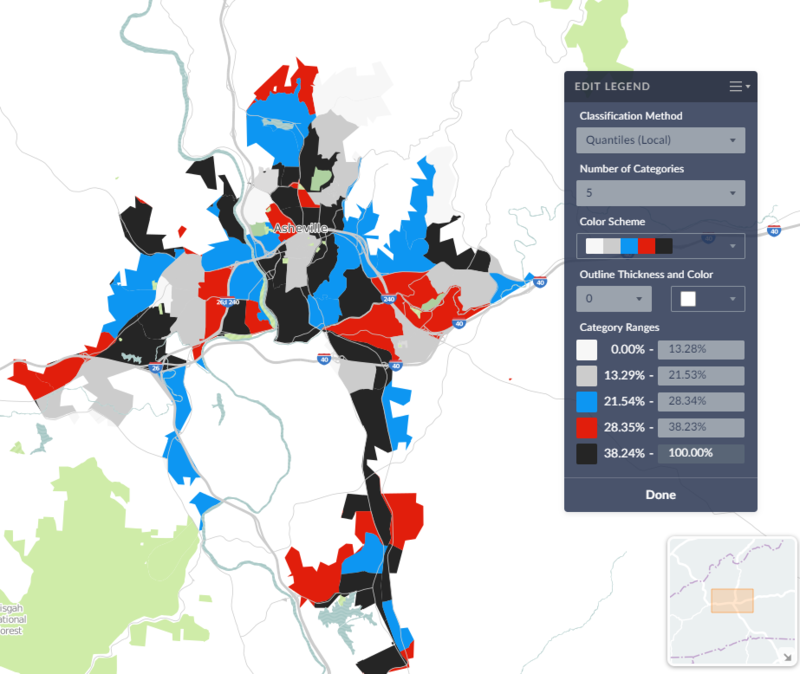 This can provide better local insight while also resulting in a more visually appealing map. 2.) Number of Categories – Determines how many legend ranges are available. 3.) 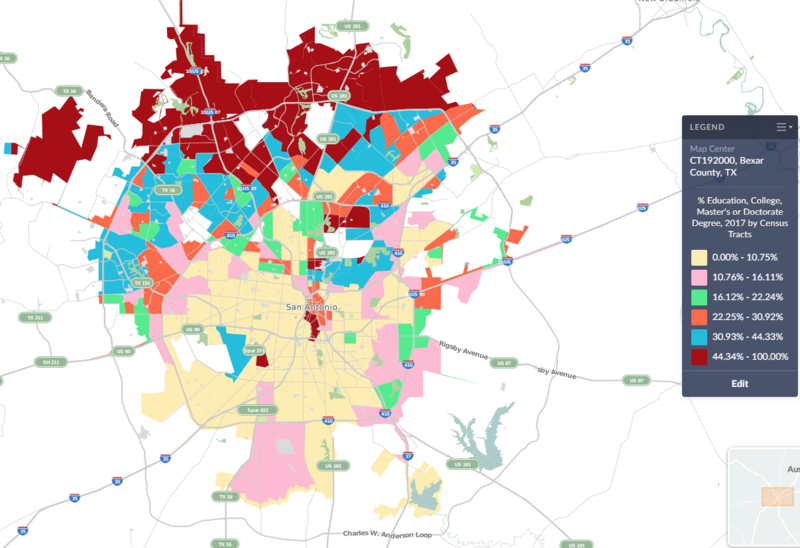 Color Scheme – Choose from 9 color schemes to change the look of your map. 4.) Outline Thickness & Color – Allows you to change the outlines in your map – try changing the color and thickness to really alter the look and feel of your map. 5.) 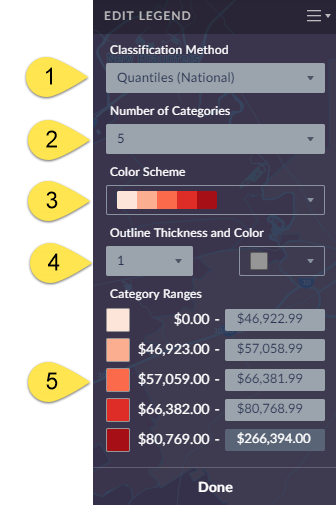 Category Ranges – You can select one of the available range boxes to enter your own value, and click on any of the associated colors to customize the color scheme! We hope this week’s entry has inspired you to explore the map legend a little more. Feel free to post a comment or tweet us your own unique map designs!